Daily Debate: Will Nintendo Ever Recreate The N64 Zelda Games From The Ground Up? Remakes and re-releases are all the rage these days. With games becoming increasingly large, complex, along with more expensive and time consuming to produce, it makes financial sense to release an established and proven seller to a new audience and returning fans. Nintendo themselves has opted to recreate many of its most popular Zelda games over the past few consoles. When discussion remakes are really two different strategies that developers can take. There are improved re-releases, where tweaks to gameplay are made, along with graphical upgrades for the current hardware. 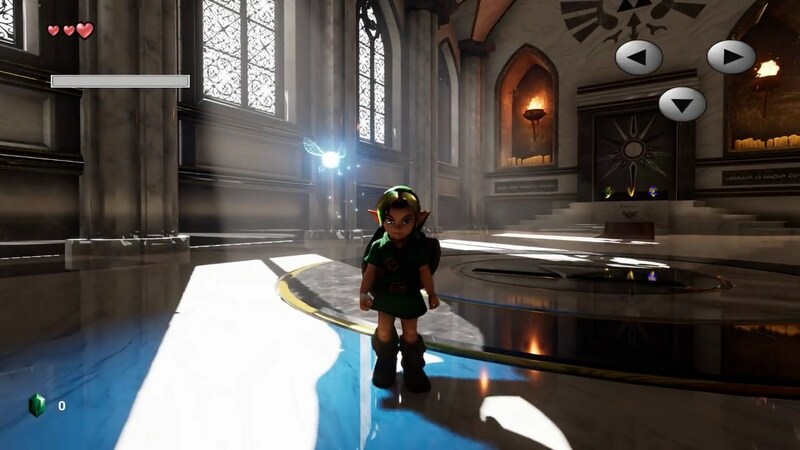 Ocarina of Time 3D and Twilight Princess HD are great examples of these, where assets are mostly the same, with improvements and tweaks made to the game and its design, as well as improvements to the existing art assets. The more drastic option is to completely recreate/re envision a game with new technology. One great example of this is the recent Shadow Of The Colossus remake on Playstation 4. Bluepoint games create all the assets for the game, without using any assets from the original game. This means that no tree, no piece of stone, is the same as it was in the Playstation 2 or Playstation 3 version. This can allow the developer to create a game that can match or exceed the graphical and mechanical prowess of other new current generation games. With this in mind, will Nintendo ever choose to completely remake Ocarina of Time and Majora’s Mask from ground up. The games are twenty and eighteen years old respectively, and despite the polish on the 3DS, there are limits to what can be done to modernize the visuals and gameplay. However, if Nintendo ever did chose to abandon the original assets and basic design of these games, the publisher could create a version of these games that look as good any modern game, surpassing even a game like Breath of the Wild. What do you think? Will (if yes then when will) Nintendo remake Ocarina of Time and Majora’s Mask from scratch? Let us know in the comments below!